There are many ways of tracking Hurricane Sandy’s impact on the eastern United States, but look out any window right now and the first thing you’ll notice is the wind. Tree branches are blowing and when the gusts kick up, they really start bending. 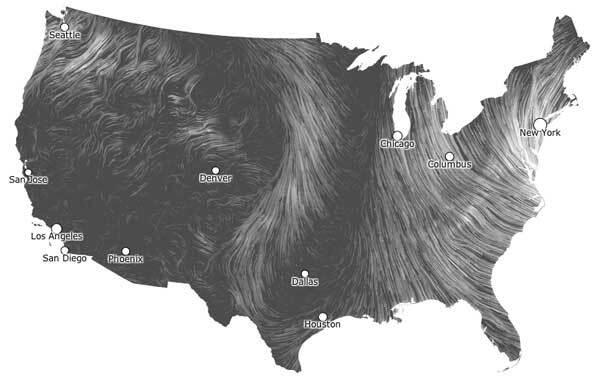 Click that link and take a look – the map is an animation of the predicted wind speeds and direction across the continental United States. It gets updated once per hour and the result is a mesmerizing look at something that is otherwise invisible.